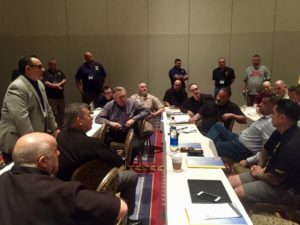 Local 315 Secretary-Treasurer Don E. Garcia, President Alberto Ruiz, Trustee Carlos Borba, Business Agents Dustin Baumbach, and David Rodriguez attended the Solid Waste Division meeting at the Teamsters’ Unity Conference 2018. 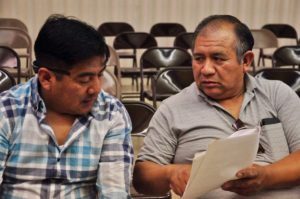 Our members who transport linens to hospitals held their contract proposal meeting with Secretary-Treasurer Don E. Garcia and their Business Agent Mike Hughes. 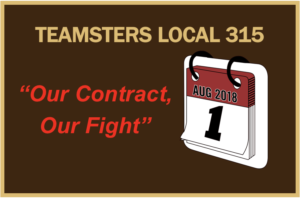 Teamsters Local 315 attended federal mediation to finalize negotiations last week, but the negotiations reached impasse as the Union’s concerns for safety, stopping subcontracting, and equality amongst workers are not heard. 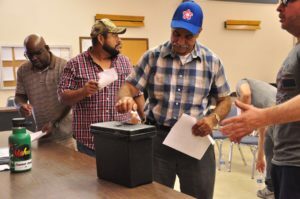 Republic Teamsters came out to vote upon the company’s offer, in which the majority turned down all four contracts. Anything you’d like to discuss with your union? Attend our membership meetings! They are a resource for members to meet their local and ask any questions or make suggestions. 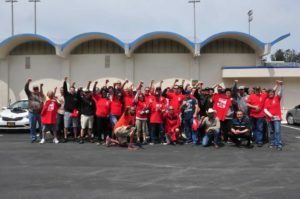 Next membership meeting will be Wednesday, June 13th, in our Vallejo office! 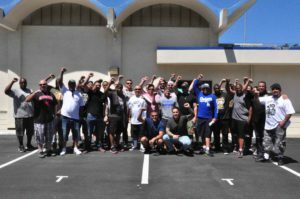 The purpose of this letter is to provide an update on the UPS Negotiations and the proposed strike vote. 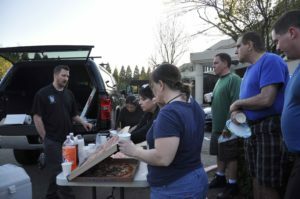 Last Saturday, our UPSers came out to hear the latest proposal updates between the union and the company. Thank you to everyone who came out. It is our contract and our fight. 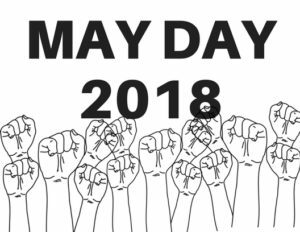 May 1st, or “May Day”, honors the 1886 Haymarket Massacre (also known as the Haymarket Affair or Haymarket Riot) in Chicago, IL, where labor leaders fought and died for the eight hour work day. 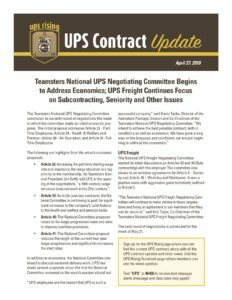 The Teamsters National UPS Negotiating Committee concluded its seventh round of negotiations this week, making an initial economic proposal covering part-time and full-time employees, health, welfare, and pension. Business Agent Nick Berry welcomes new evening shift UPSers and informs them on the upcoming contract meeting for all UPSers.